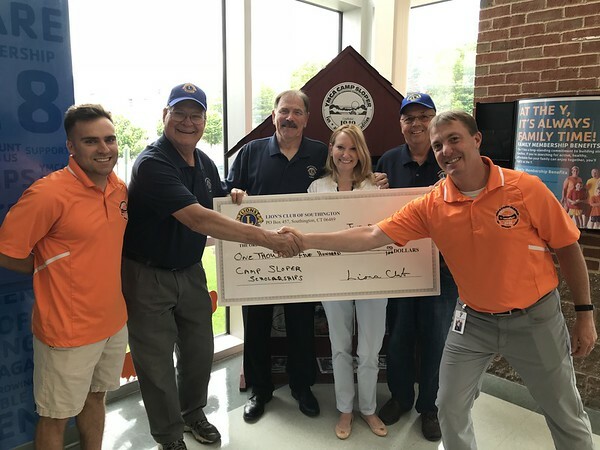 SOUTHINGTON – The Southington-Cheshire Community YMCAs has received a $1500 donation from the Southington Lions Club to support YMCA Camp Sloper scholarships. These scholarships will provide children without the financial means to pay for camp the opportunity to attend Camp Sloper. Hubeny said that the Y believes that every child should be able to have a summertime camp experience. This isn’t the first time the Southington Lions Club has supported YMCA Camp Sloper. 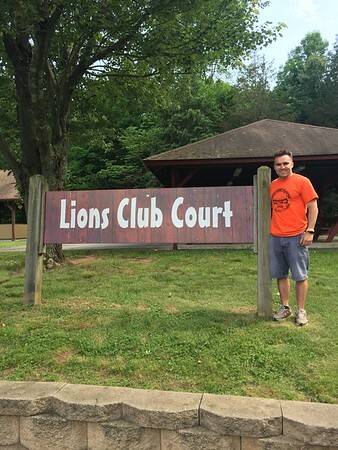 The Southington Lions Club has helped ensure that “every kid has access to camp and has a great summer” through many years of donations to support the Camp. In 2008, they donated the basketball courts which Hubeny says are now a “vital part of the experience” at YMCA Camp Sloper. According to lionsclubs.org, The Southington Lions Club is a non-profit group that does whatever is needed to help the local community. They organize fundraisers, volunteer and donate their time and resources to help the citizens of Southington. They are a branch of the Lions Club International, which is the largest service club organization in the world. Posted in New Britain Herald, Southington Herald on Monday, 9 July 2018 19:21. Updated: Monday, 9 July 2018 19:23.